“The Jonas Brothers” was a famous American band that consisted of Kevin Jonas, Nick Jonas and Joe Jonas. The band was formed in 2005, yet they did not reach mainstream success until a couple of years later, when in 2008 they starred alongside Demi Lovato in a Disney Channel Movie called “Camp Rock”. When the movie premiered on Disney Channel, it was watched by more than 8 million viewers. The popularity of “Camp Rock” resulted in the creation of its sequel entitled “Camp Rock 2: The Final Jam”, which enjoyed even bigger fame than its predecessor. Not only did the sequel gather higher rankings from the critics, it also received a People’s Choice Award for Favorite Family TV Movie. In addition, the soundtrack of the movie peaked #3 on the Billboard 200 chart and sold over 41 000 during its debut week on the market. 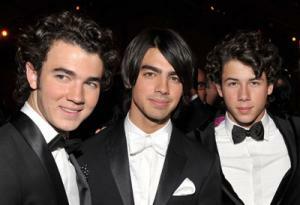 As Kevin, Joe and Nick started to gain more public recognition, they went on to star in their own sitcom entitled “Jonas L.A.”, which debuted on television screens in 2009. The premiere of the show was largely criticized by critics and received mixed to negative reviews. It also only attracted 4 million viewers, which was the second lowest-rated television premiere on Disney Channel. As the ratings of the show continued to decrease, “Jonas L.A.” was cancelled after two seasons with a total of 34 episodes. An award-winning group, how rich is “The Jonas Brothers”? According to sources, “The Jonas Brothers’” net worth is estimated to be $30 million. Undoubtedly, the majority of “The Jonas Brothers’” wealth and net worth comes from their singing career, as well as many on screen appearances. Initially, “The Jones Brothers” band started out as a project for Nick Jonas, who was already making appearances on various Broadway productions, and at the same time began writing songs. Nick Jonas’ first single under the title of “Joy to the World (A Christmas Prayer)” was played on the local radio and was later discovered by an executive who worked for Columbia Records. It was with Columbia Records that Nick Jonas released his self-titled debut album, where some of the songs were performed by all of the brothers. Eventually, the record label decided to sign all of them to the label, and thus Kevin, Nick and Joe became “The Jonas Brothers”. The band then went on tours and performed as opening acts for “The Backstreet Boys”, Kelly Clarkson, Jesse McCartney and others. In 2005, the group released their very first single called “Mandy” and a year later came out with their debut studio album “It’s About Time”. The album spawned two singles and up to date has sold more than 62 000 copies in the United States. “The Jonas Brothers” received more public recognition after they starred in Disney’s “Camp Rock” and since then they released three more albums, the most recent being “Lines, Vines and Trying Times”. The latter album was their last studio work as a group, as “The Jonas Brothers” announced their separation in 2013. A famous pop rock group, “The Jonas Brothers” have an estimated net worth of $30 million.